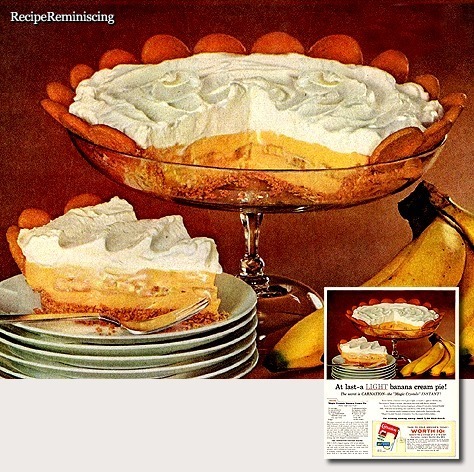 At last-a LIGHT banana cream pie! The secret is CARNATION – the “Magic Crystals” INSTANT! Never before a banana cream pie so light, so tender. Light in calories, too. The secret is “Magic Crystals” that burst into fresh milk ﬂavor, without heavy fat. Even the luscious topping is whipped Carnation Instant Nonfat Milk. Delicious for drinking, too-nutritious, with all the protein, all the calcium and B-vitamins of fresh, whole milk. Discover the only “Magic Crystals” Instant-Carnation. Use the coupon below, today. 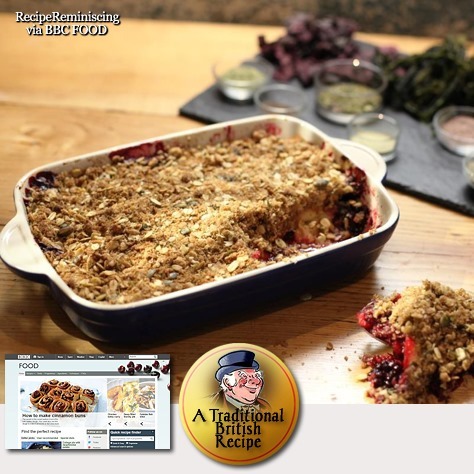 Paul Hollywood adds a twist to the traditional crumble topping with the addition of seeds, oats and shony, a sweet and salty powdered seaweed. Serve with custard, cream or ice cream.